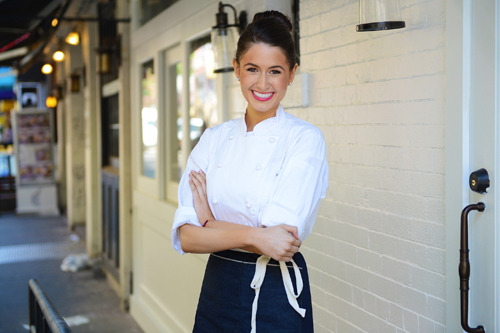 On today’s episode of THE FOOD SEEN, Chloe Coscarelli may have sweetly introduced herself to the culinary world through vegan cupcakes on Food Network’s “Cupcake Wars”, but it’s her QSR restaurant “by CHLOE”, that’s leading the charge of the plant-based phenomenon. Raised in sunny Santa Monica, where seasonal produce is year round, it seemed a funny choice for Chloe to open her restaurant in NYC. But with every crisp of shiitake bacon topping of “Mac N’ Cheese” (made with a sweet potato-cashew sauce), or her irresistible veggie burgers (a tempeh, lentil, chia, walnut blend), it’s no wonder that veganism isn’t just about health, religion, or eco-consciousness anymore. It’s also delicious! It’s no replacement for meat, because it isn’t supposed to be, so listen in to hear why more of more of the population is moving towards plant-based cooking, and loving it.